Self-storage companies are seeking growth opportunities by snapping up vacant anchor spaces at malls or by buying up lagging strip centers outright. At Richmond Town Square mall, in Richmond Heights, Ohio, the bulk of a 162,200-square-foot former Macy’s is on track to become a self-storage facility operated by third-party manager CubeSmart. The SpareFoot Storage Beat, a blog published by online storage marketplace SpareFoot, recounts a raft of similar deals: In Birmingham, Ala., a developer aims to convert the former Sears at Century Plaza into a Metro Mini Storage; in Lancaster, Calif., U-Haul will transform a shuttered Kmart into an 80,000-square-foot storage facility; and in Augusta, Ga., a developer spent about $1.7 million to buy an ailing strip center and turn it into a 45,000-square-foot storage facility. Likewise, a representative of the Alexandria, Va.–based Self Storage Association recounts retail-repurposing deals in Florida, South Carolina, Virginia and Wisconsin. U-Haul remade an abandoned Piggly Wiggly store in Saukville, Wis., into a self-storage facility and also announced plans to repurpose a Baraboo, Wis., strip center into a moving-and-storage facility. This property, formerly anchored by JCPenney, measures roughly 170,000 square feet. 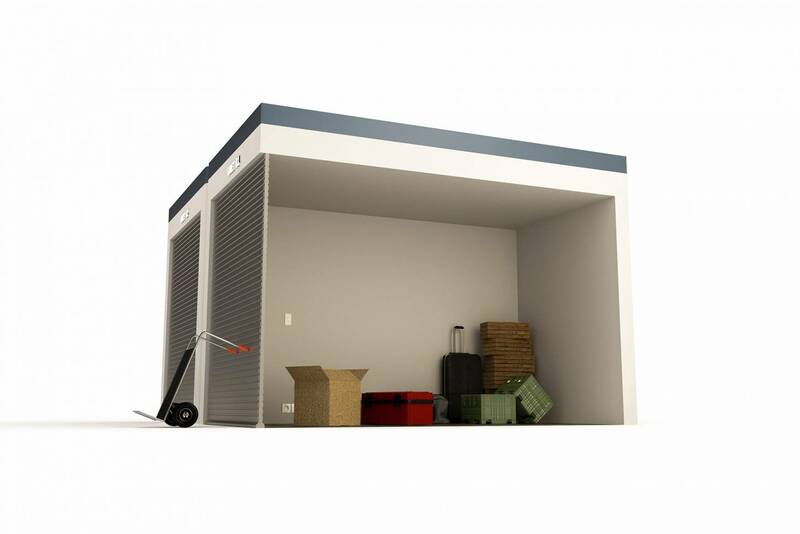 Over the past decade or so, the self-storage sector has transitioned from focusing primarily on far-flung industrial areas to opening more locations in dense commercial districts, according to Kate Spencer, a Cushman & Wakefield managing director and co-leader of the firm’s self-storage practice. The shift coincided with a development boom for the industry that, according to some analysts, may soon reach a plateau. “The period from 2017 to the end of this year is expected to be the peak of development as far as new self-storage supply coming on the market,” Spencer said. According to data that Union Realtime has compiled, the sector gained 791 self-storage facilities last year, more than double the number in 2016. Nationally, net rentable square feet of self-storage grew by 1.3 percent in 2016 and by 2.7 percent in 2017. Texas leads industry growth, with three markets in the top 10: Austin, Dallas–Fort Worth and Houston. In the race for space, self-storage retailers have proved willing to alter their prototypes to squeeze onto smaller parcels in densely populated markets. Of course, this has broadened the types and sizes of retail properties they are willing to consider as possible sites, Spencer says. “We’ve really started to see more vertical storage facilities on smaller parcels of land — generally, from one and a half to two acres,” she said. “These are in prime retail locations.” This willingness to go vertical happens to mean that multilevel anchor boxes are now a potential fit for self-storage users, unlike in eras past. Moreover, the economics of adaptive reuse also tend to work in favor of retailers and landlords looking to dispose of excess space. “The costs to convert an existing retail building into self-storage are significantly less than building from the ground up,” Spencer said. Generally speaking, self-storage developers need a minimum of about 50,000 to 70,000 square feet to turn a profit, Spencer says. Their parking requirements are minimal. For example, one 195,000-square-foot self-storage facility in the Dallas–Fort Worth market has just 16 spaces, Spencer notes. These dynamics reduce the likelihood of parking-related clashes between self-storage operators and any adjacent retailers at the property. The key thing for landlords to understand, Spencer says, is that self-storage tenants buy buildings, or portions of them, rather than sign leases and pay rent. Typically, individual investors and developers own these businesses, and third-party managers with the expertise and the economies of scale that come with maintaining national portfolios operate them. Among the top names are CubeSmart, Extra Space Storage and Life Storage. “It is a win-win for both parties, because a company like Extra Space really knows the market, as well as how to market and lease self-storage facilities,” Spencer said. Trade-area household size is yet another key site-selection criterion for these tenants, and, here again, more is better. “If your average household size is nearly three people or maybe slightly higher than that, we have found that that induces demand for storage,” Spencer said. Other factors include how many people are moving to the area, job growth and the average amount of storage space per person in the marketplace. Nationally, that figure stands at about 7 square feet per person, Spencer says.